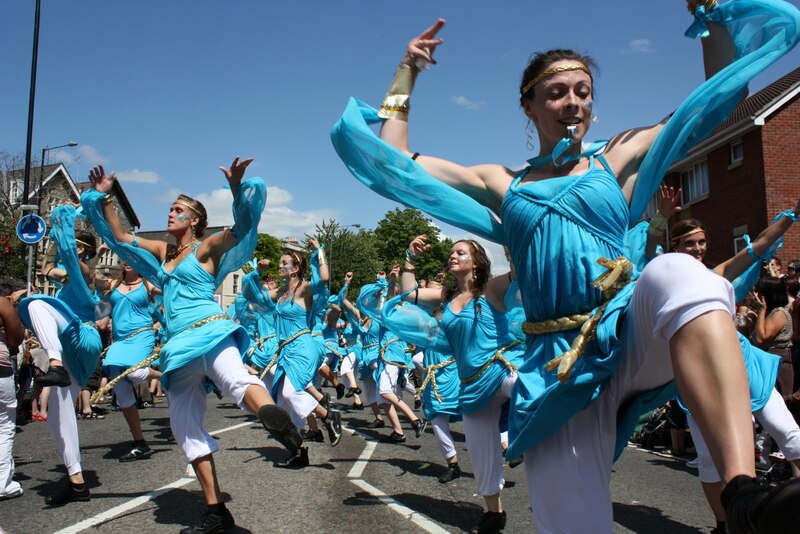 I have been so busy with my new freelance gig that I have had hardly anytime to blog about the fashions of Bristol of late, let alone go out and experience them for myself, so apologies for the sporadic posting of the last couple of weeks. 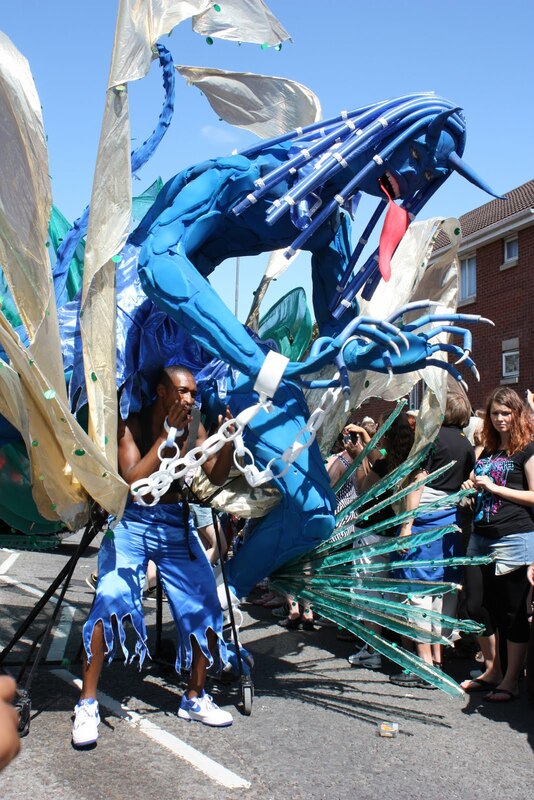 Anywho, there are plenty of exciting fashionable happenings taking place this weekend including the epic Bristol Harbour Festival. OK, while not exactly fashion related it will immerse the centre of Bristol with live music, local produce and plenty of warm cider. There are fireworks, sailor caps worn in a ironic way and lots and lots of boats, decked out in colourful flags and bunting. Celebrations kicked off last night and will continue across the weekend so grab your friends and a picnic blanket and head down. Next up is Motel. Originally only a Bristol brand, you can now find the iconic prints and simple body-con dresses across the country in Topshop, Republic and House of Fraser to name but a few. 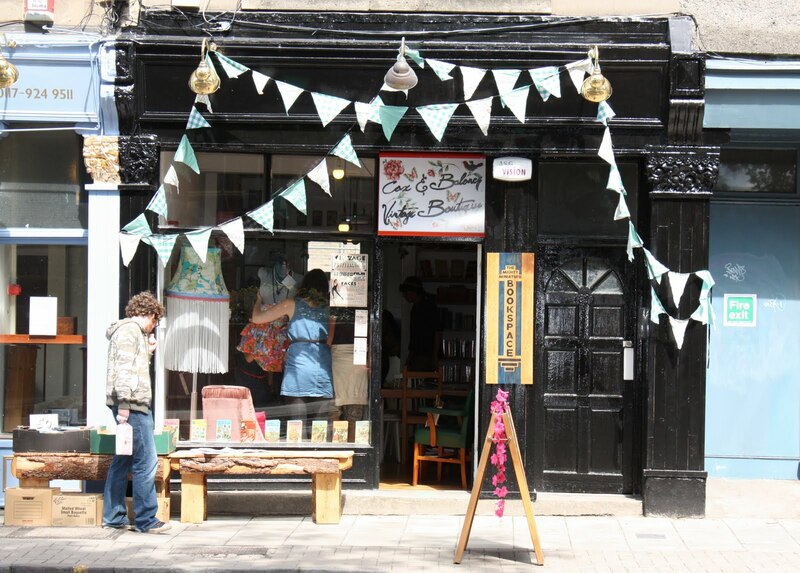 Luckily for us Bristol-based girls their flagship store on Park Street is getting a makeover which has resulted in a pop-up shop opening up across the road next Cooshti! The shop opened its doors on Monday and will be selling stock at ridiculously cheap prices and till the old store re-opens in mid August. For more info check out the Facebook event, here. 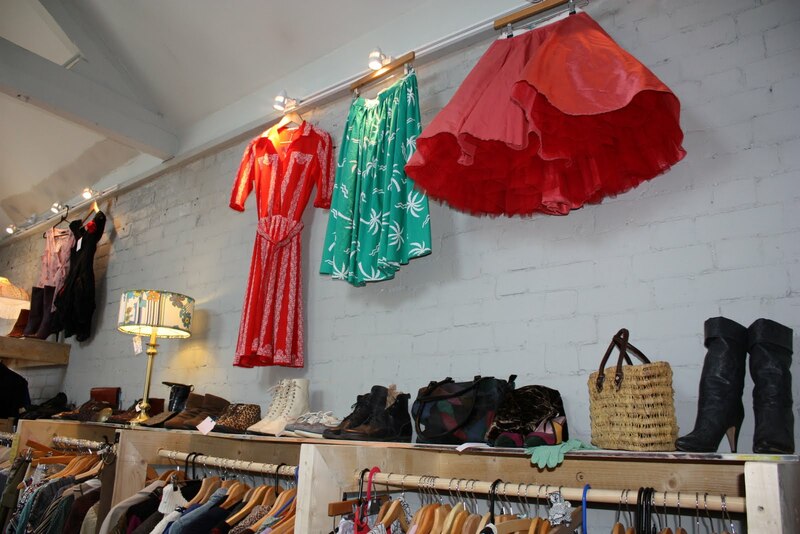 Finally, if you have any energy left this weekend then you should hot-foot it down to Stokes Croft for the opening of a brand new vintage store, above. The brains behind Dutty Girl are launching Goldmine tomorrow night, and opening to the public on Monday. 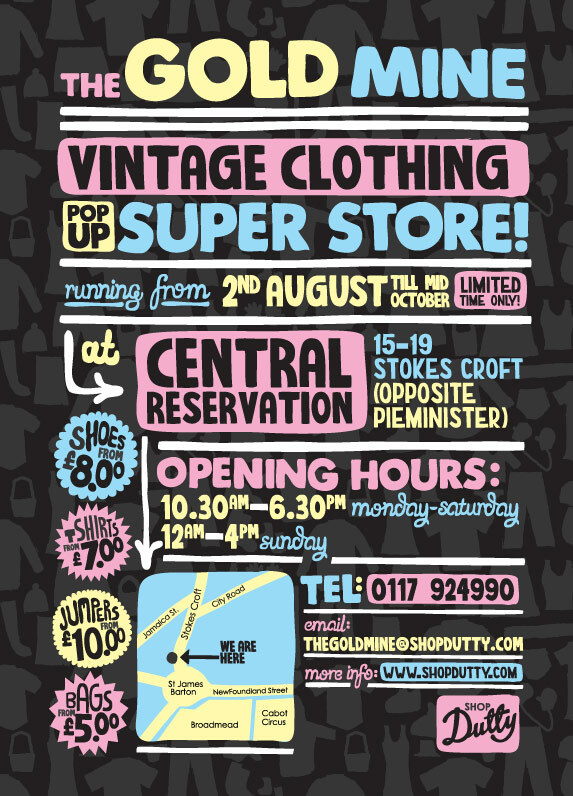 Running till mid October, you have but weeks to get your hands on cheap-as-chips bags, retro t-shirts and 80s jumpers. The location of choice is Central Reservation, once a motorcycle showroom, this huge space is now used for exhibitions and promotion of the visual arts. 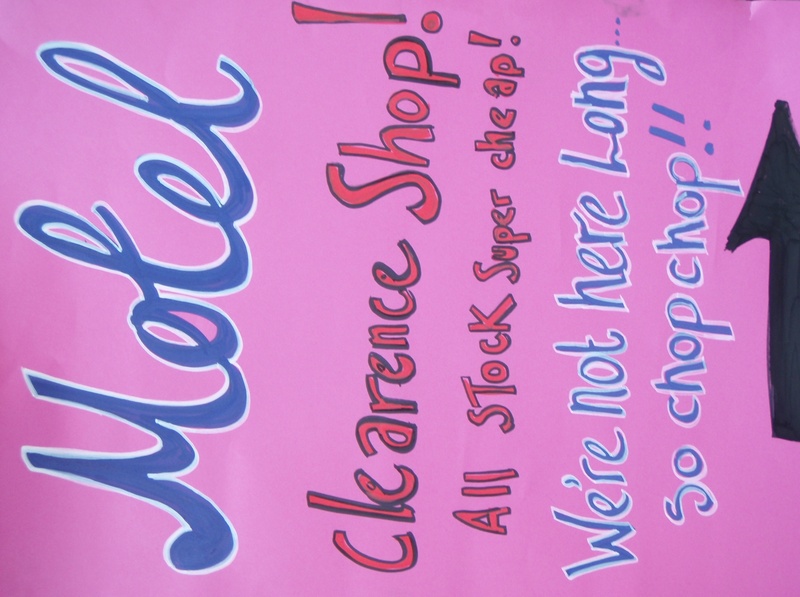 Goldmine will be open seven days a week so there is no excuse not to pop in and bag yourself a bargain. Slightly off topic but I recently had the pleasure of interviewing the amazing digital illustrator Victoria Topping for Crack magazine. Although a little nervous, Victoria was a pleasure to interview and I was struck by the beauty of her illustrations. Working only on her precious Mac Victoria uses her love of disco and wallpaper patterns to create complex drawings built up of layers, textures and shapes. Victoria has already had one fashion collaboration with Donuts (of Perry Road) but there will be more in the pipeline over the next few months so if you like her stuff as much as I do then keep an eye out on her website for more info. 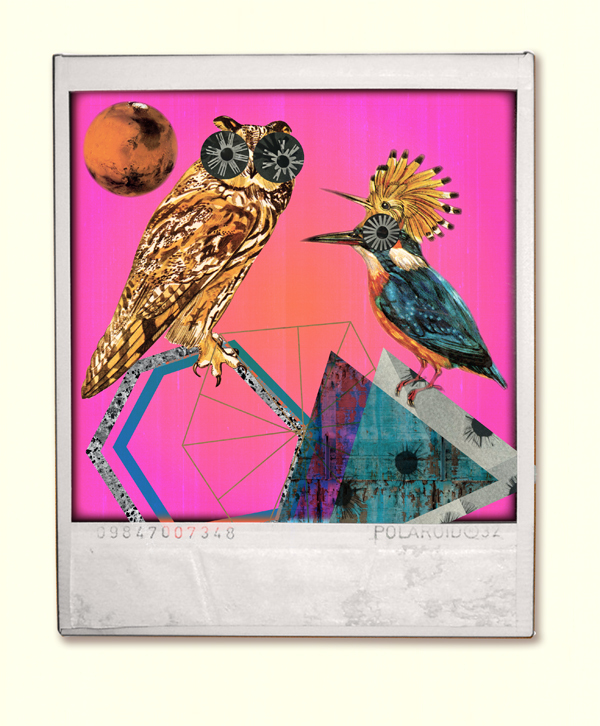 You can read the full interview when Crack is out next week but to find out where you can get your hands on a piece of digital art check out her Facebook page here. I recently started writing for a fantastic website called Running in Heels and my first article for them was published today. RIH is a pan-European website for women ‘with brains as well as style’, set up in March 2009. Politics and culture have an equal footing with fashion and beauty and the site is a refreshing alternative to many of its celeb-following, relationship driven competitors. The lovely editor Alice just happened to have a profile of Anna Piaggi that needed writing so I jumped at the chance to wax lyrical about one of Italy’s greatest exports. If you haven’t heard of Piaggi then obviously you should check out my profile of her for RIH here but, in brief, she is a whirlwind of colour and enthusiasm that has inspired the likes of Karl Lagerfeld and Manolo Blahnik to name but a few, can still rock a front row despite being comfortably into her 80s and has provided visual inspiration to her native Italian Vogue for the last thirty years. When I first had the epiphany that I wanted to be a journalist, Piaggi was one of the first topics I covered. 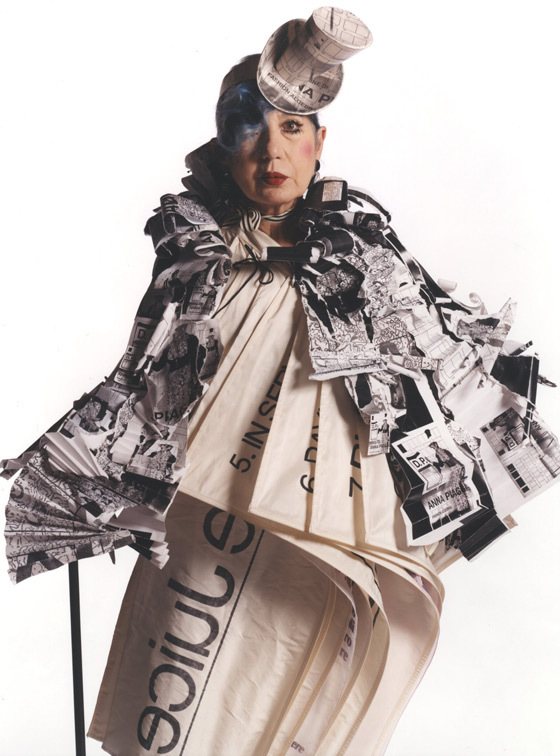 Her Fashion-ology exhibition at the V&A back in 2006 showed me just what a fashion writer could look like, though I’m sure I’ve never seen another fashion creative come close to her in terms of style, flare or passion. The article I wrote was a review of this exhibition, which appeared on a folded piece of A4 around my campus which was our creative alternative to the student newspaper. I still have a copy of it somewhere, where my little review sits in between a crossword and a page of creative writing. At the time I had only just rediscovered my passion for writing and was attempting to turn it into a degree. I approached local magazines and publications for work experience and ended up becoming the fashion columnist for a magazine that I am still writing for, four years later. I still have the exhibition catalogue for Piaggi’s exhibition carefully tucked away on a bookshelf as a reminder of my first piece, and my first piece of inspiration as a fashion journalist. Whenever I see a picture of her front row antics I think back to the time I walked up the stairs into her exhibition, loosing my student self in her lavish costumes, treasured furniture and enigmatic magazine spreads. Cox & Baloney store open for business! Cheltenham Road’s latest addition has finally opened! Cox & Baloney have made the move from their stall at Woolies Indoor Market on Whiteladies Road to their shiny new boutique. It is no secret that I’m a big fan of this vintage emporium and first championed Cox & Baloney when I discovered their stall back in April. I knew then that Amy Cox and Joney Lyons were looking to move to their own premises and was delighted when I found out that it would be on Cheltenham Road. Nestled between the independent shops and boutiques of Gloucester Road and the high street stores of the city centre, Cox & Baloney are in a great spot for passing people traffic yet far enough away from the competition to put their own unique stamp on the area. 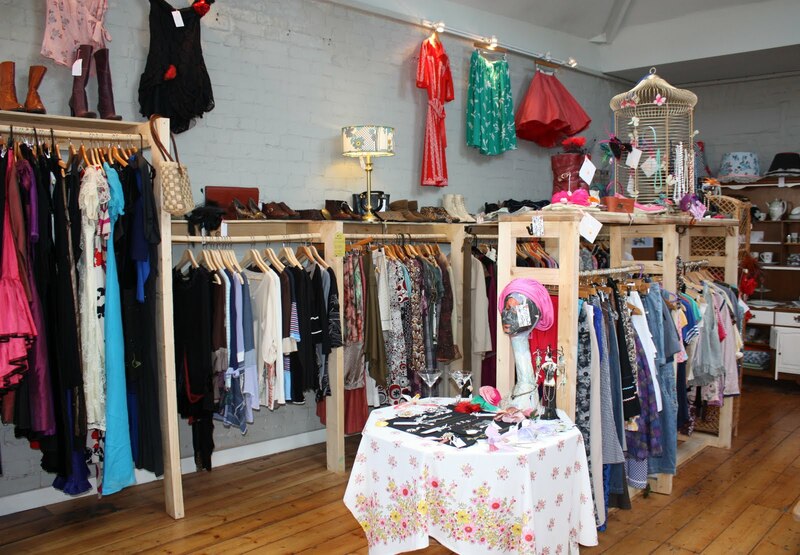 But the new store is much more than just frilly frocks and girlie gladrags. 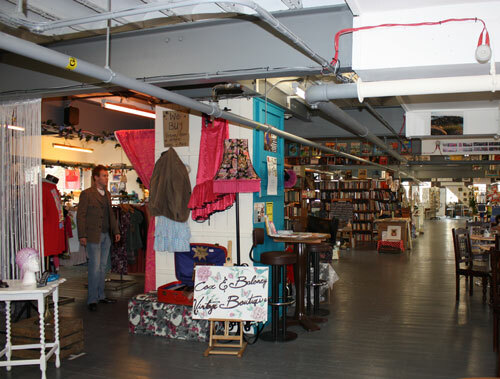 There are three distinct areas spread over two floors covering menswear, literature, womenswear and cups of tea. 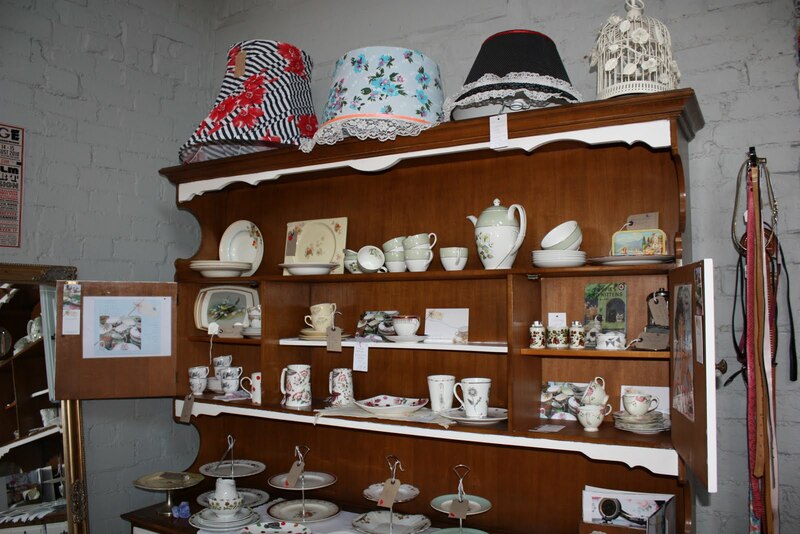 When I popped in to the official launch party yesterday I was surprised to walk in and find book lined shelves and a small counter full of homemade cakes with barely a vintage dress in sight. 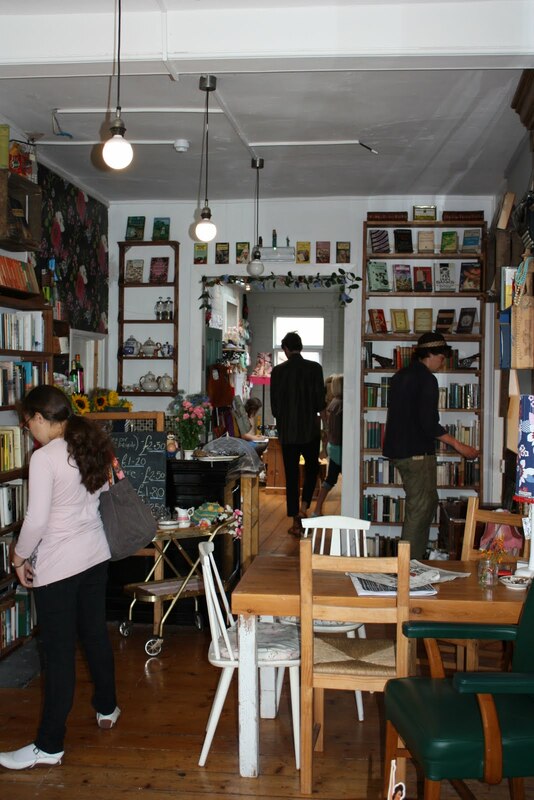 This collaboration is a canny move as the shop is no longer just a place to browse the rails but now acts as a meeting place, a library and chance to have a cuppa and cake. And plans don’t stop there. Joney let slip that before long they plan to open the back room in the basement and fill it with sewing machines “to rent out for an hour to encourage people to customise their own clothes”. This little workshop will no doubt prove to be a hive of creativity and will be yet another string to Cox & Baloney’s very full bow. 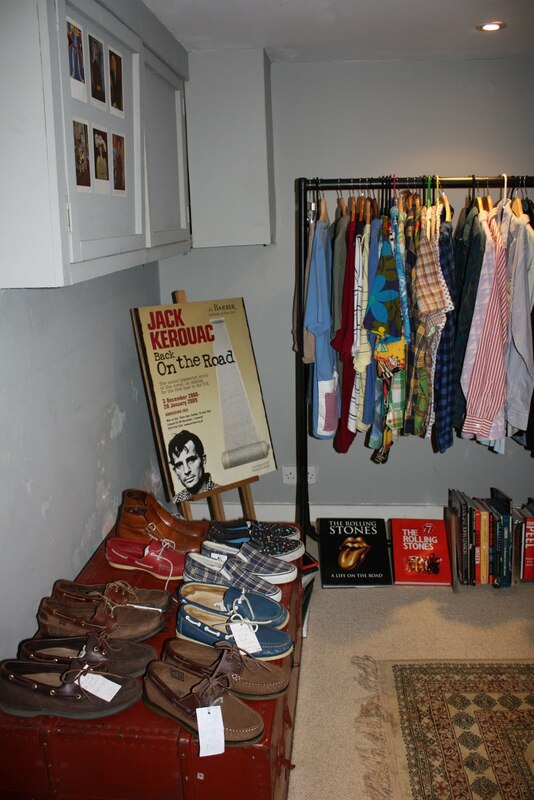 The clothing still takes pride of place at the back of the store and has a quirky, girlie feel reminiscent of the old stall while the basement houses the menswear and feels like a study or den – with old leather trunks, rails of tweed jackets and 70s suits. Currently only open on Saturdays the girls hope to have the shop up and running three or four days a week in the near future. I can’t wait to see this boutique progress and be sure to look out for updates from Ship-Shape, and at the Cox & Baloney Facebook page here. 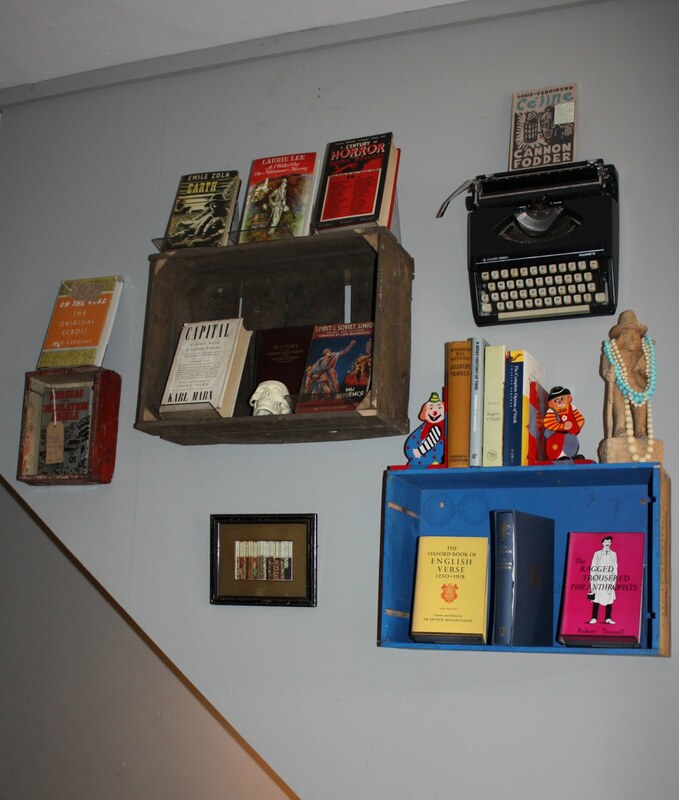 Why have Ikea book shelves when you can have typewriters and wooden creates instead? With all this depressing economical nonsense going on it is great to see two new stores opening in Bristol this week, both at completely opposite ends of the fashionable scales. 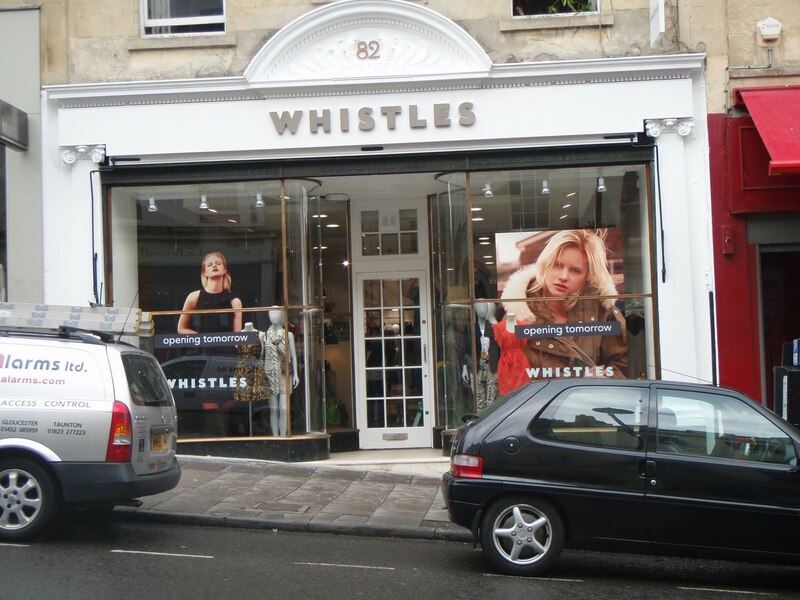 The first is Whistles, which is coming to Park Street this week, taking the place of the cheap and cheerful shoe shop Jade. The curved glass windows of the listed building will be perfect for showing off the surprisingly cutting edge fashions that Whistles now offers, see S/S 10 below. When I was younger I remember Whistles as being one of those grown up brands that could only be worn by career women of a certain age but I have been pleasantly surprised by their last few seasons. This revamp is thanks to Jane Shepherdson, the former Brand Director of Topshop, who took Whistles under her wing in 2008 and reinvented it as a fashion-forward brand for chic essentials and one-off pieces. I’m not sure when exactly the store is opening but I do know it will retain the character and original period features that make it such a beauty to look at – more info as and when I have it. The second shop to be opening it’s doors this week is a Ship-Shape favourite. I loved Cox & Baloney from the moment I saw it in Woolies market, below, which you can read all about here. So successful was their stall at the indoor market that the owners made the leap to go solo in their own store, situated on Cheltenham Road, near Colston Girls School. 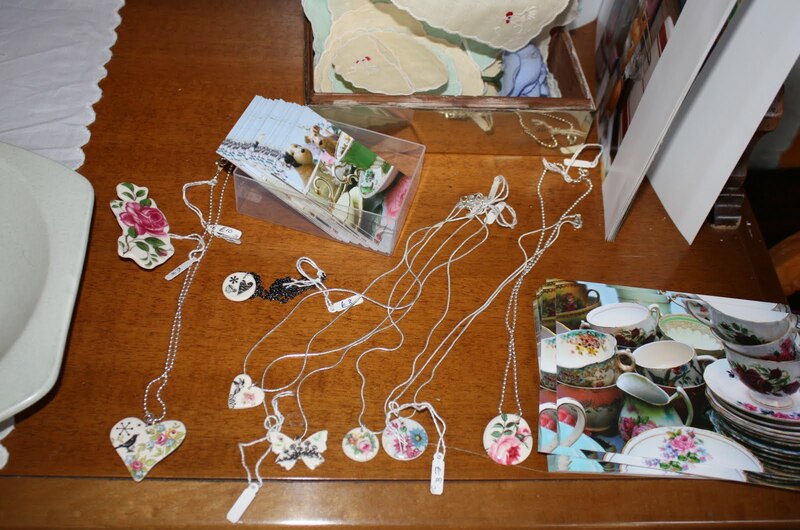 The store actually opened its doors for trading on Saturday but will be having an official launch party this Saturday, 17th July, and will be full of vintage and reworked treasures plus lots of new and exciting collaborations. Owners Amy & Joney really made the space at Woolies their own and although there have been a few sneak peek photos of the new store I can’t wait to see it in the flesh and no doubt bag myself a bargain to boot! Ah, what a weekend! 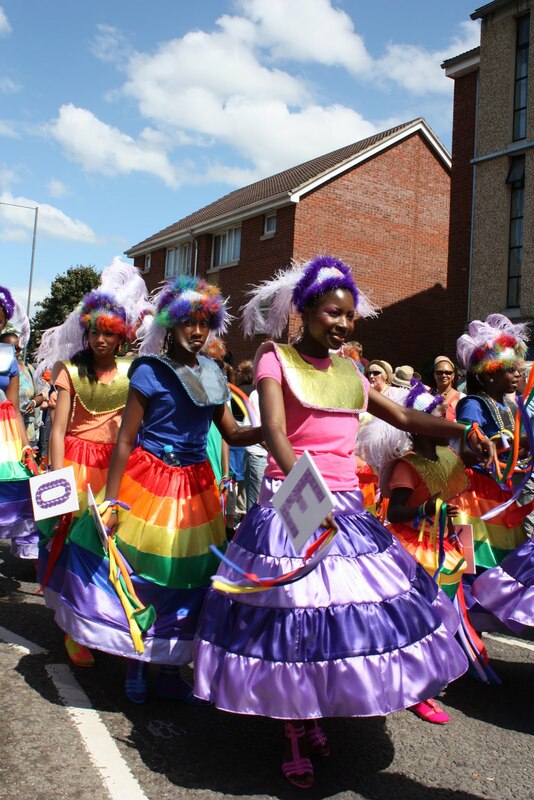 Those of you that live outside of Bristol may not have heard of St Paul’s Carnival but it is an annual event that has taken place in the area of St Paul’s since the 60’s. 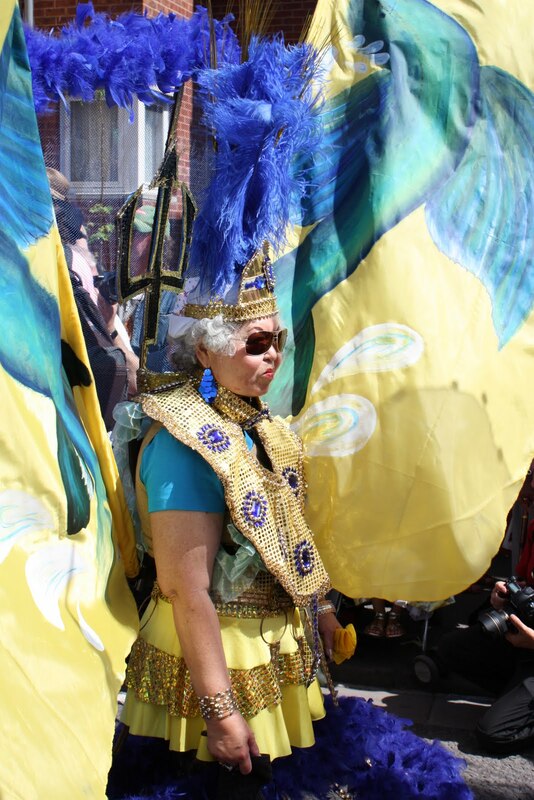 Celebrating Afrikan and Caribbean culture, all the local schools and businesses come together for a parade that brings color and life to the streets. 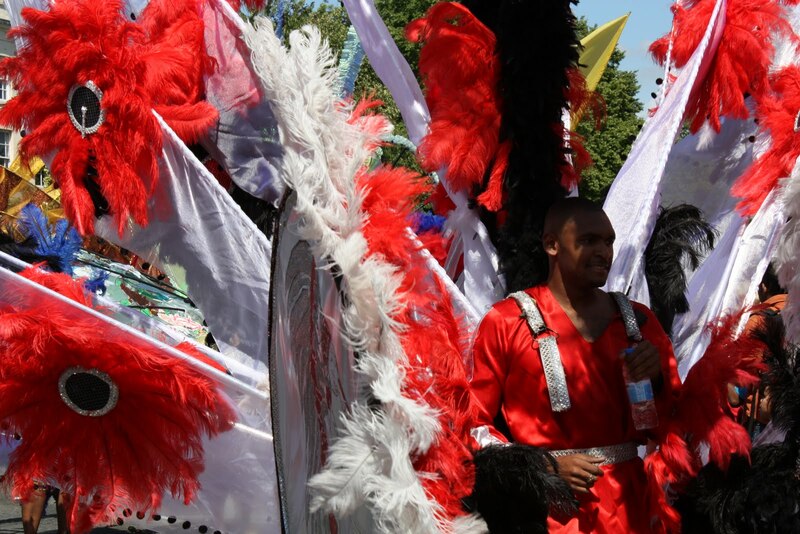 Locals and visitors alike line the streets to watch, dance and eat copious amounts of jerk chicken, all washed down with a can of Red Stripe. As an area St Paul’s doesn’t have the best of reputations and for 364 days of the year the streets are quiet but that all changes in July when everyone and their grandma comes out to celebrate. 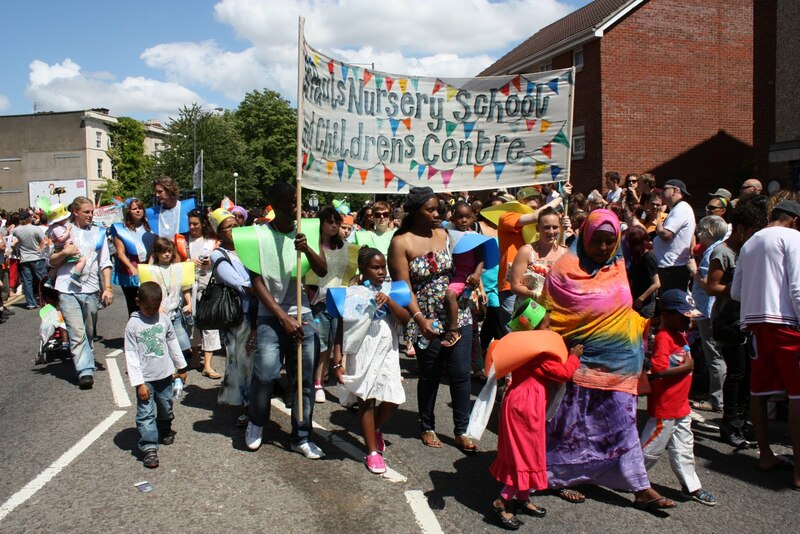 This community event signals the start of summer for many Bristolians and the costumes of the parade are one of my personal highlights. 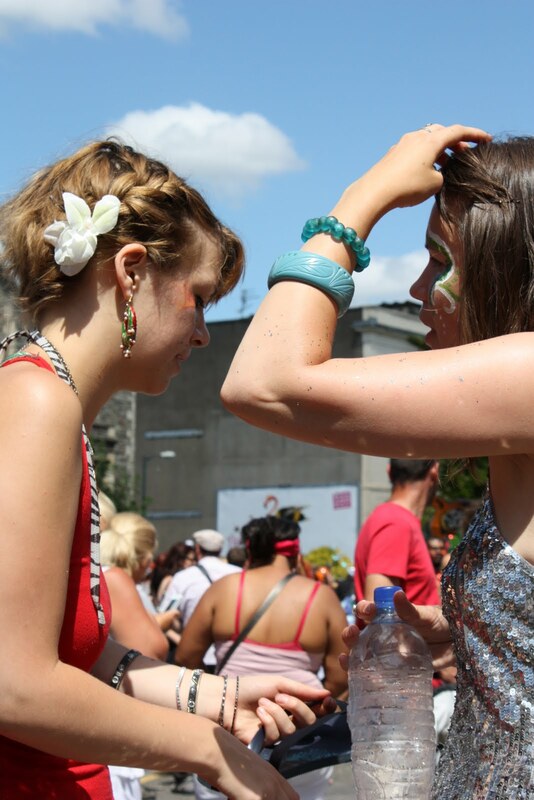 The carnival is a place where you are sure to bump into old friends and make new ones, where everyone is friendly and the smell of community spirit is in the air. 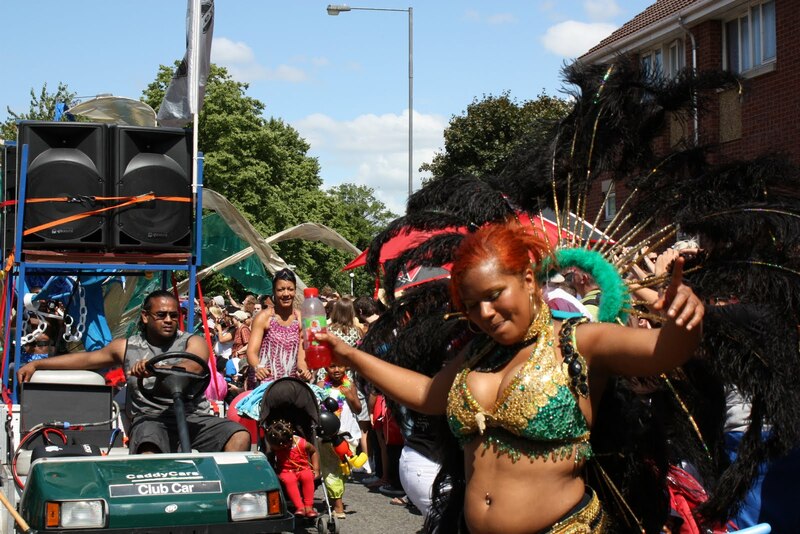 If you missed the event or would like to volunteer your support for next year’s carnival then be sure to check out the official website, above, or the carnival Facebook group. I took a few snaps of the fantastic costumes, below, but to see more pictures from past events click here. British actress Emily Blunt has be a guilty pleasure of mine since I first laid eyes on her in The Devil Wears Prada a couple of years ago. She is a fine actress and often ends up with some fantastic costumes to wear on screen, her latest film being no exception. 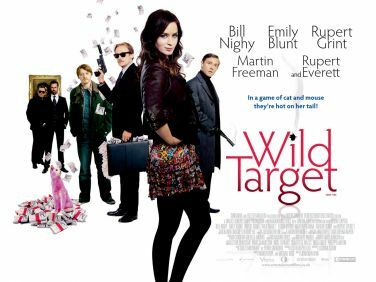 The film centres around a con artist (Blunt) and the hitman hired to bump her off (Nighy), with Ron Weasely hanging around for good measure. As film begins Blunt appears, riding a vintage bicycle complete with wicker basket, in a red coat and fabulous red heeled brogues. From this point onwards she appears in some stunningly beautiful outfits and manages to look stylish even while on the run. Costume Designer Sheena Napier was in charge of putting together Blunt’s look, which included pieces from the high street. Yumi Clothing supplied the red coat, mentioned above, and a black ‘Hela’ dress seen at the start of the film. 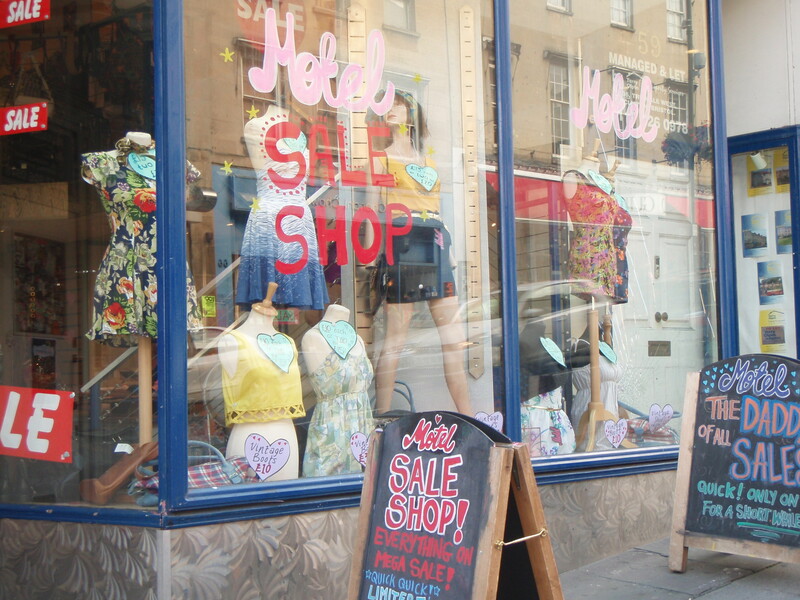 With a Yumi store on Clifton Triangle you can replicate the look yourself for the streets of Bristol. Due to the lack of positive press surrounding this film there is very little information out there about Blunt’s wardrobe, which has a sense of downplayed glamour and edginess to it that really does magnify the ‘London style’. A combination of leather, silk, sequins and (fake) furs are layered together to create a unique look that Blunt works to her advantage as a enigmatic thief. Colourful shoes and tights carry the look and despite her groomed hair and make-up the look never feels over done. I wish I knew where this outfit, above, is from though – the combination of beaten up leather jacket and canary yellow skater skirt are pure edgy perfection. Want, want, want!